Organize your business and accomplish your daily goals like never before. 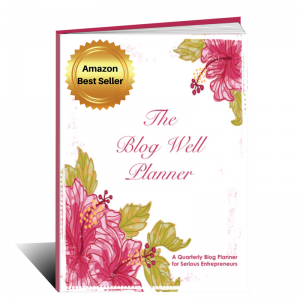 Keep your focus on priorities and complete what's most important every day with a blogging planner designed for serious entrepreneurs seeking to intentionally manage and grow their business. 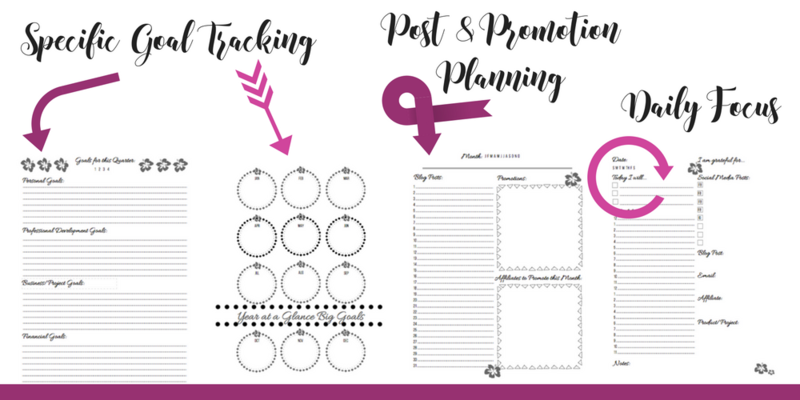 Pulling from her experience of using and creating multiple planners for home, homeschool and business, in the Blog Well Planner™ Katie Hornor combines the best planner ideas with clean and attractive layouts. This resource offers a practical guide to accomplishing more now, without wasted pages or bulky unwieldy books. Glossy card stock cover and high quality paper make this blogger's dream planner look and feel elegant without weighing so much you can't carry it with you. Classic greyscale design, fun fonts and clean lines make the pages aesthetically appealing and clutter-free, while still giving you room to embellish with your favorite planner accessories. We've also provided bonus stickers and tabs to download, print and use with your planner. Your Planner Also Includes Free Coaching! 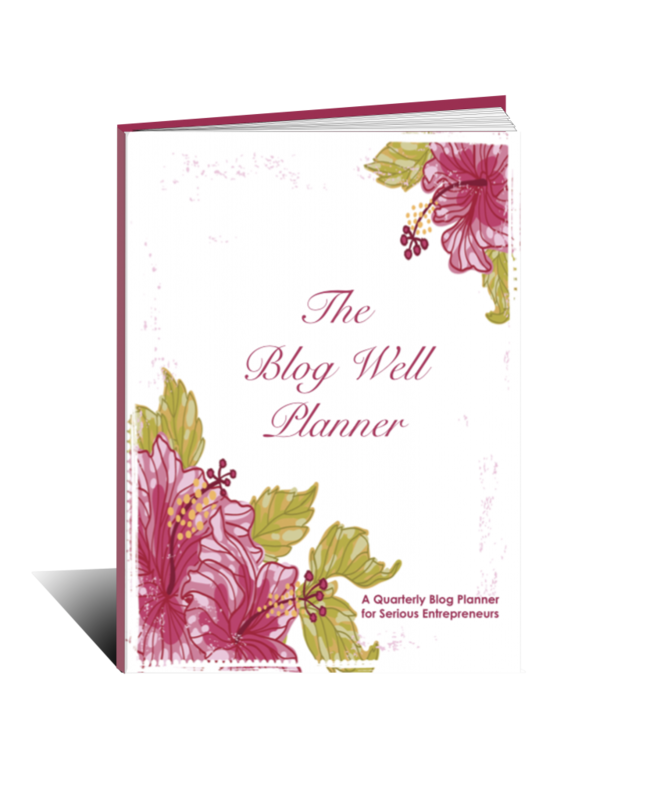 Your Blog Well Planner™ purchase includes exclusive access to a series of short videos where Katie Hornor will personally coach you on how to use each element of the planner. With these insightful tutorials from Katie, you'll be on the fast track to organized and intentionally productive in no time! 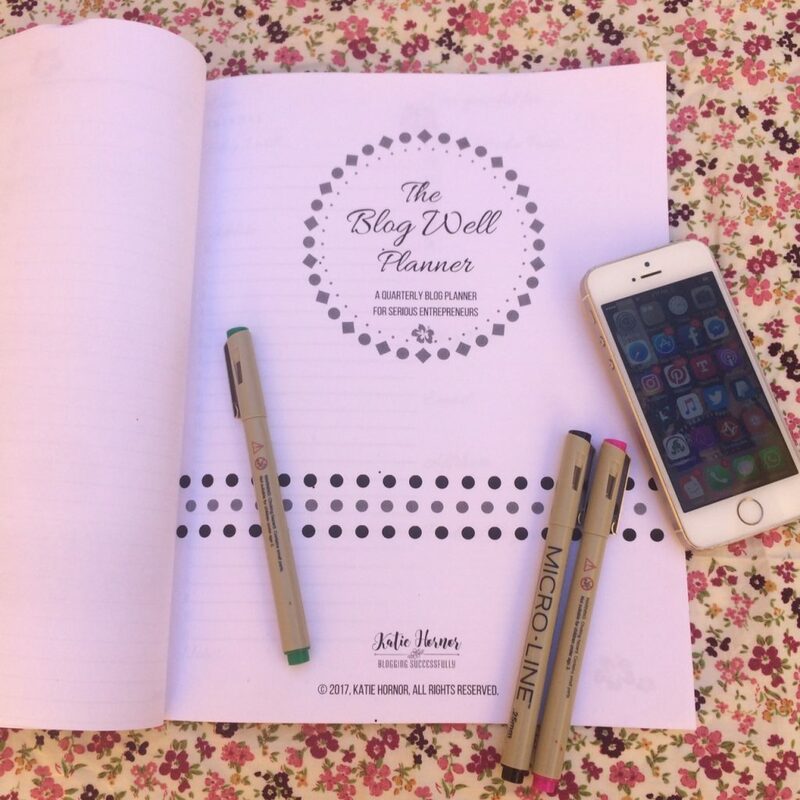 Designed for a 90-day short-term goal sprint, the Blog Well Planner™ gives you a quarter of a year’s content so that you aren’t overwhelmed by planning and tracking with a bulky 12 month planner. So that you never waste a portion of the book, our 3 month planner comes undated. Pick it up and start today, no matter what day it is! And because we know that no entrepreneur ever has only one thing going at a time, the planner includes double 2-page spread calendars for each month. Track business appointments on one and family on the other, business 1 and business 2 calendars, or keep one for email and blog post schedules and the other for appointments and interviews. We also know you don't just work from 8-5, so our daily task planner includes slots for all 24 hours! Tracking mileage, jotting down new contacts' info or making random notes is all covered, too. With goal templates, you'll never lose sight of your big picture ambitions. Write down your quarterly goals, your strategies for achieving them, and practical next steps in each area of life: personal life, professional development, business plans, and financial goals. Then break them down into doable monthly goals. Because we work better when in routine, blocking your time into a schedule will help you focus on the goal-oriented tasks at hand. Because we know life happens and you need to flex, one routine might not work for an entire year, so we've included a new time blocking spread for each month. Without reviewing your progress, it’s easy to lose track of where you’ve been (and where you’re going). With pages for quarterly reviews, you can make adjustments to your goal strategy as needed and keep your momentum high. Are you a visual thinker? Do you like to doodle? You'll love the blank visual planning pages we've included in each month, so you can doodle, draw diagrams, and design email funnels to your heart's content. 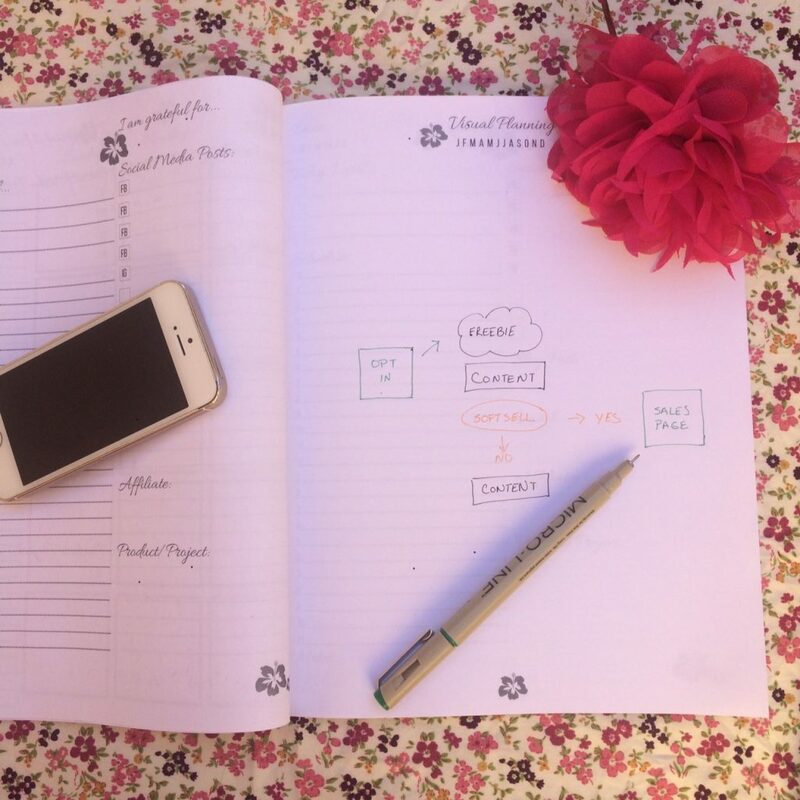 Why Use a Paper Planner in a Digital Age? 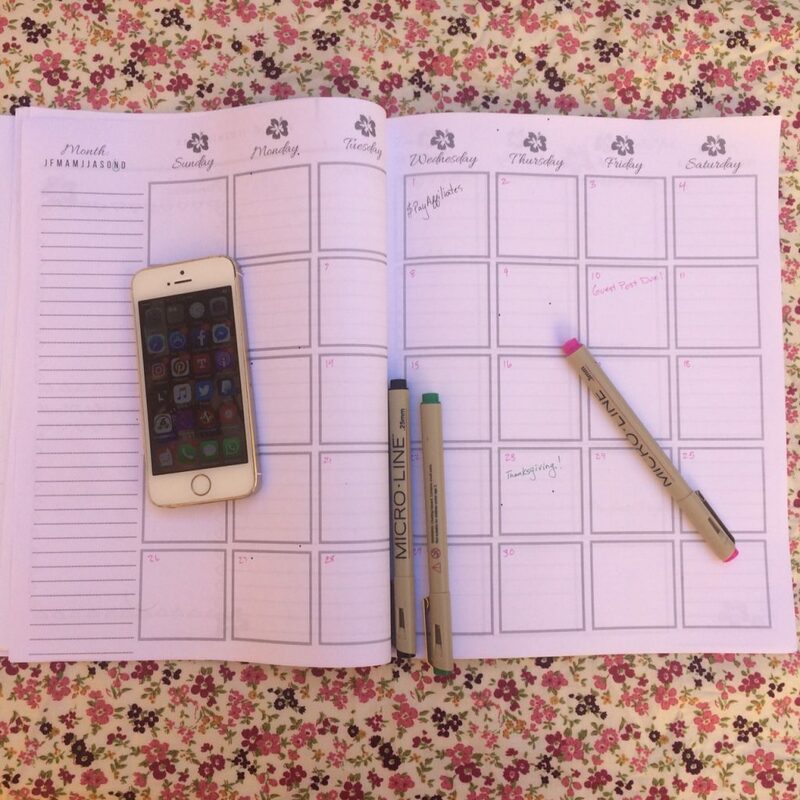 I can be using smartphones with notifications, meeting or reminder apps, task managers and schedule syncing electronic calendars… why in the world do I need a paper planner? Engages different parts of your brain. Forces you to more fully process your thinking. Creates more and better memory cues for later recall. Writing down your thoughts, plans and strategies helps you process and remember them better! Plus physical paper planners are so much less distracting, helping you focus better and be even more productive. And when the phone battery dies, or the internet goes out… you've still got access to it. Katie Hornor is the founder and CEO of Blogging Successfully and The Blog Connection, an online membership community helping midlife women spread their message and increase their income. She is the author of several Amazon best sellers and The Blogger's Guide 8-book series. 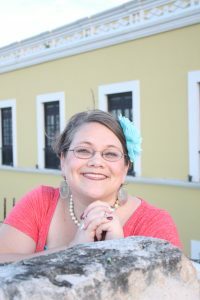 Katie's members and blog to business coaching clients love her personal interest in their success and her easy to understand ways of explaining complicated online business “stuff.” Katie and her husband of 14 years, Tap, have 3 daughters, 2 sons and live in tropical Campeche, Mexico.